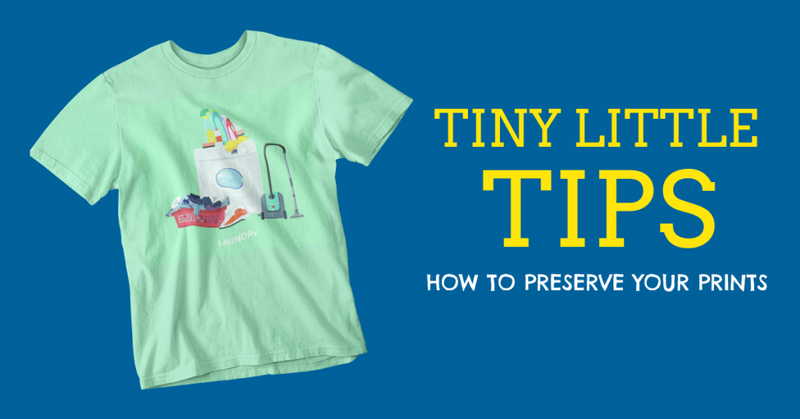 Tiny Little Tips: Preserve Your Prints!! You know how to use a washing machine, but do you r e a l l y know whats best for preserving the prints on your customized clothing? High heat? Low heat? No heat? Fear not! Here are 4 helpful tips for the clueless (or just curious) clothing connoisseur. 1. Forget what your mom said about your shirts, wash your screen printed tees INSIDE OUT to preserve the integrity of the print. The less the imprint is physically agitated, the more intact it stays long term. 2.Wash your clothes in COLD water. Hot water can cause the fibers in your clothing to release tension- resulting in fabric becoming misshapen and warped. If a shirt has a screen print on it, this can sometimes lead to cracks in the ink from the fibers expanding and contracting too often. Modern laundry machines can clean clothes just fine on a cold setting, so don’t worry about flipping to that hot setting unless you got a real mess on your hands. 3. Wash your clothes LESS. I know it sounds wild, but follow me on this. Your shirt does not have to be washed after the first day you wear it. Set that homeboy to the side, shoot it with some freshener spray or a dryer sheet and wear it next week. This will immediately cut down on the agitation that your clothes get by running through the washer and dryer– and save you some $$ on electricity and detergent! 4. Hang Dry/Air Dry – if your main concern is shrinking, you’re in luck. Nature and a little planning can help you preserve your clothes the old fashioned way– with AIR. Again, the less your prints are tossed around, the better. Skipping the hour they spend getting all hot and bothered in the dryer can save you years on your apparel. These tips work equally when applied to embroidery. It is, however, recommended to try a colorfast test in cold water to test for color bleeding before washing your items in a big batch. Washing embroidered pieces of clothing inside out is a MUST. It only takes a couple thread catches to make your once-beautiful embroidery look a wrecked, so be cautious and use a gentle detergent or hand wash your pieces before letting them air dry. For Direct-to-garment pieces, the heat element is the most important to consider. Wash DTG printed apparel in cool to cold water and dry with the lowest setting or forego the dryer entirely and your clothing will thank you by staying brighter longer. 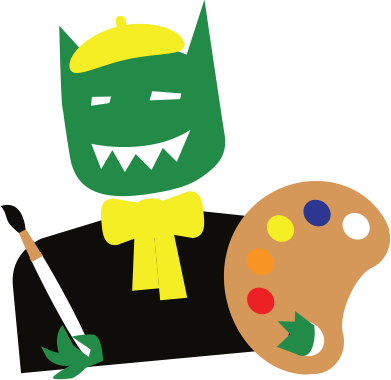 At Tiny Little Monster, we take pride in our printing and we want you to too! Thanks for reading and remember to check back in for more tips and information about apparel options, printing methods, and more!